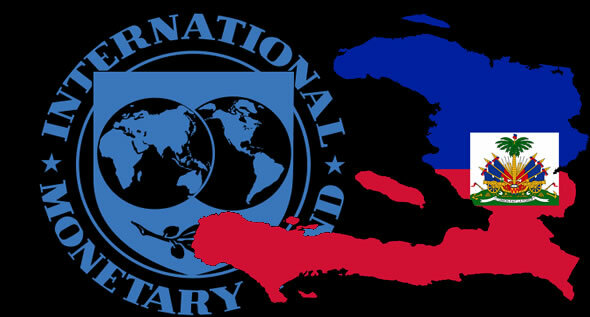 An official of International Monetary Fund (IMF) stated that fuel that is being subsidized by the Haitian government is benefiting for the most part, the rich and the powerful in Haiti. The international organization has reached an agreement with the government where they would make funding available to the government once their finance is in order. Haiti must strengthen its revenues by increasing tax collection and eliminating fuel subsidies. Following the recent announce on July 6 by the Haitian government to increase the price to close to 50 percent which triggered protests throughout the country, the official from FMI suggested for the Haitian Government to withdrawn the subsidies gradually and also to assist the population with targeted aids in order to ease the effects. Many countries seek to protect poor households by subsidizing the consumption of fuel products. However, recent research by the International Monetary Fund (IMF) shows that fuel subsidies are both inefficient and inequitable. As per Laura Papi, Assistant Director, Asia and Pacific Department at the International Monetary Fund, the massive amount of fuel subsidy, which is taking a toll on government expenditure, is mainly benefiting the rich and not the poor. Fuel subsidies both help and hurt consumers. The trouble is that poor consumers get a disproportionately small portion of the help and a disproportionately larger share of the hurt. People often think that it helps because subsidies make fuel more affordable. Subsidy not only reduces direct costs for cooking and lighting, but also indirectly holds other prices down, for example, by reducing cost of commuting, or transportation costs for food, etc. An IMF economic study conducted by Arze del Granado and others, found that an increase of $0.25 per liter in the price of fuel would reduce the real purchasing power of a poor household by more than 5 percent. What we forget to consider in our calculations that in the aggregate, poor households account for only a small part of total fuel use. As a result, on average, consumers in the richest 20 percent of the population get six times as much total benefits from fuel subsidies as do those in the poorest 20 percent. For example, in a poorer country, very few people own vehicles. So they get little direct benefit from a reduction in gasoline prices. It's because upper-income households consume a lot more fuel products than poor ones, especially petrol, which is the most regressive fuel product to subsidize. So the poor get little direct benefit from a reduction in gasoline prices. Further IMF studies show that fuel subsidies are inefficient subsidies, once started are hard to end. As per government's abandoned announced plan, prices for gasoline were to rise 38%, while diesel prices were to go up 47% and kerosene 51%. Haiti is one of the poorest countries in the Western Hemisphere, where 80% of the population live below on $2.00 a day. If the price of kerosene goes up even by a meagre percent, it would be a big blow to their sustenance.